Good morning ladies! We are thrilled and so excited to introduce you to a fabulous new sponsor today. Meet the Pink Azalea – a truly unique personalization and all things monogrammed gift boutique. 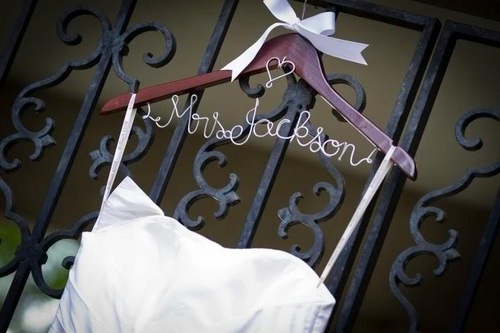 Monogrammed gifts are so popular right now and are great for just about any occasion. The Pink Azalea carries unique monogrammed gifts that would be perfect for holidays, birthdays, weddings, sorority gifts, baby gifts, corporate gifts, teacher gifts… they even carry personalized gifts for your four legged family members. The Pink Azalea also carries gifts from notable brands such as Vera Bradley, Tyler Candles, Crabtree & Evelyn, Tervis Tumbler, Lindsay Phillips Switchflops, Onesole Shoes, Mud-Pie and many more. The Pink Azalea is located in the heart of downtown Greenville, 2 doors down from Sticky Fingers restaurant (click for directions). Don’t live in the upstate? No worries – you can still shop the Pink Azalea’s unique gifts on their website. Also, make sure you visit and ‘Like’ the Pink Azalea’s Facebook page. Every week they have a new giveaway with a new fabulous prize on their page. They post a photo of the prize and have a new way each week you can enter to win…whether it’s posting a comment on the photo or sharing the photo with friends. Since the Pink Azalea is located so close to the best place on earth (Clemson), they carry lots of orange and purple gifts – perfect for the Clemson fans in your life… and perfect for you! At the top of my wish list is one of these adorable monogrammed Palmetto tree t-shirts! How cute are these? They are available in a variety of color combinations, short sleeves or long sleeves. I’ll take one in orange and purple please…and…I’ll take one in purple and orange too. This is such a cute shirt for summer – and perfect for Clemson football games in the fall! How lovely is this initial bracelet? I love the antique look to this piece. It’s a great shabby chic accessory for any summer outfit. These bracelets would also make great bridesmaid gifts…and speaking of bridesmaids, why not get each girl a personalized hanger for her dress…and one for the bride too! Ready to fall even more in love with the Pink Azalea boutique? 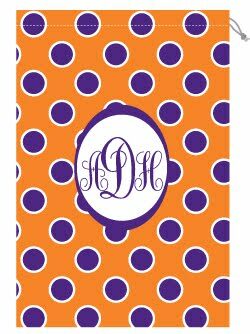 The Pink Azalea would like to give one very lucky Clemson Girl a monogrammed clutch purse in a color of her choice (12 options available!) and monogram font/color of her choice. These monogram clutches are popping up everywhere and are very popular. They are great for gameday and great for every day. Deadline for all entries is tonight, Tuesday, June 5 at 7pm EST. We will compile all of the entries, randomly draw a winner, and post the winner’s name back on the blog soon after the deadline. The winner will have 48 hours after the winner’s name is announced to claim their prize – so make sure you revisit the blog tonight to see if you’ve won! Special thanks to the Pink Azalea for sponsoring such a fabulous giveaway! We are excited about the opportunity to be able to share with you all of their great items! Happy shopping ladies! I commented on the picture. April V, from Seneca, SC! !